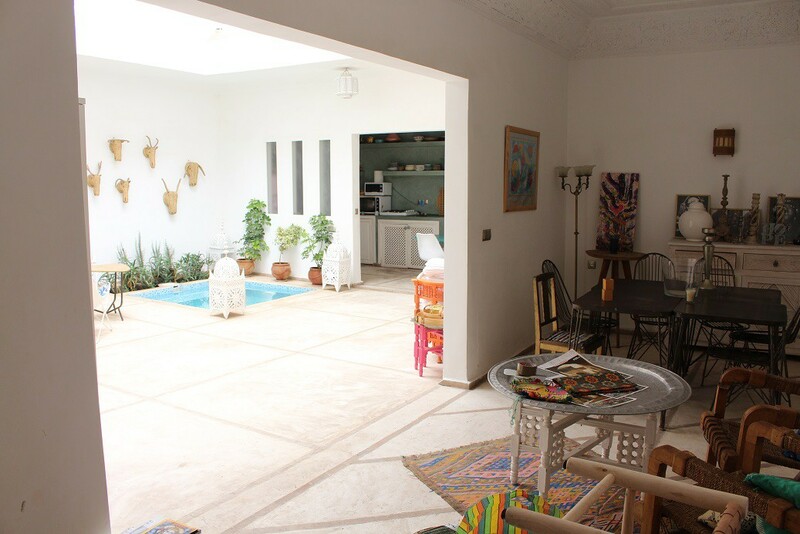 This is a very cool and very sociable riad - open spaces, lots of light and beautiful sunny terraces.. There’s definitely an Ibizan vibe here. 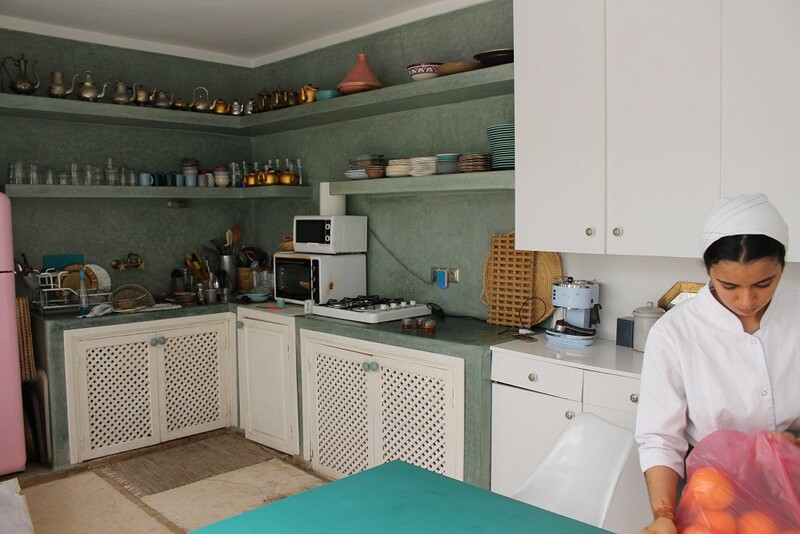 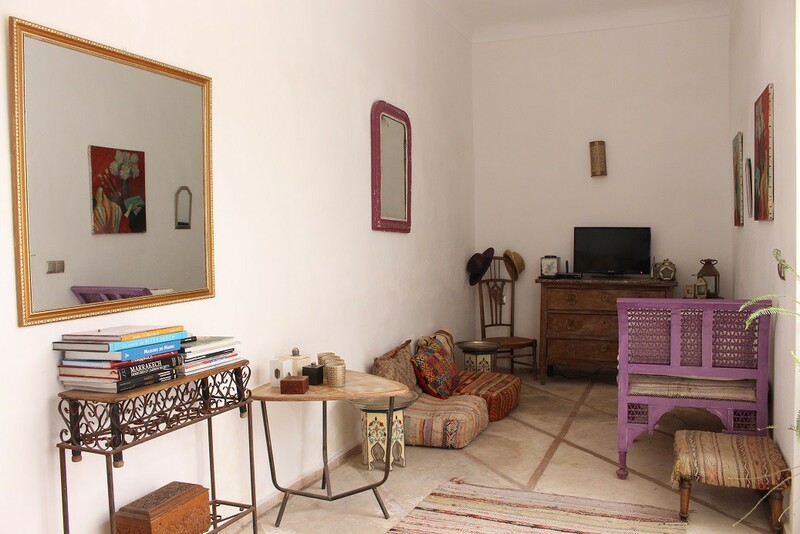 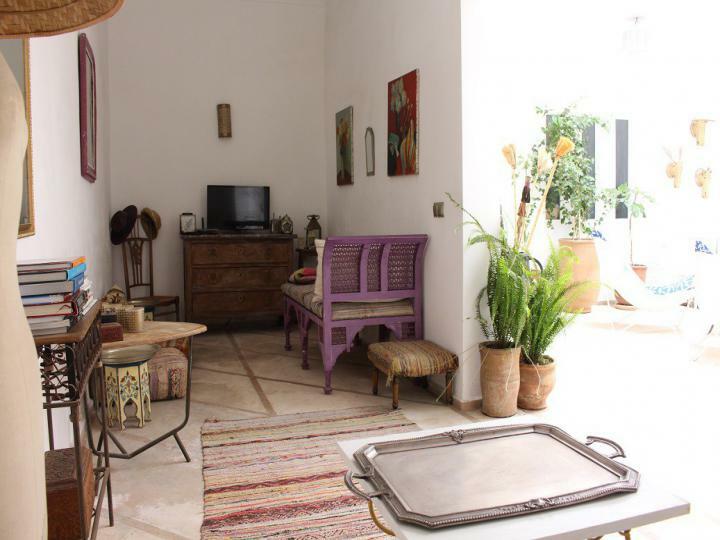 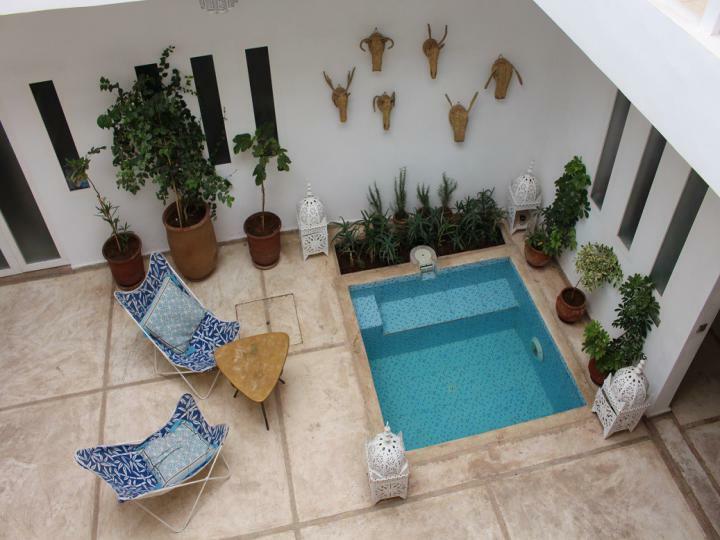 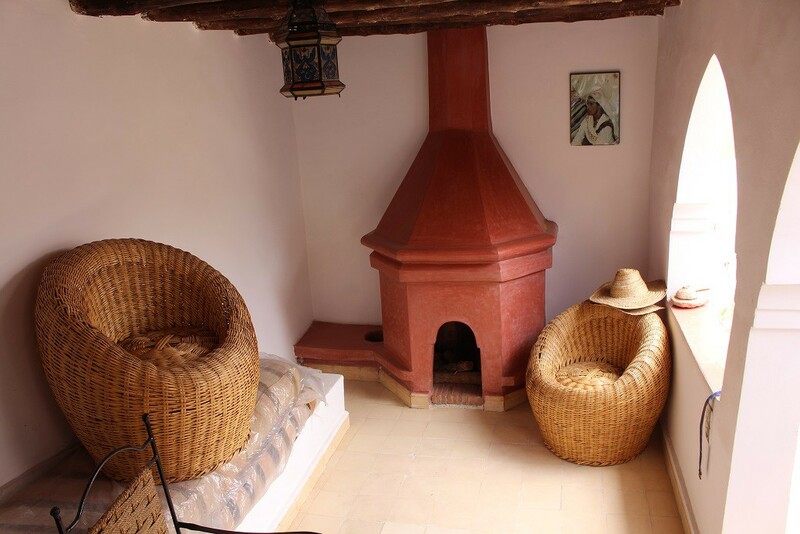 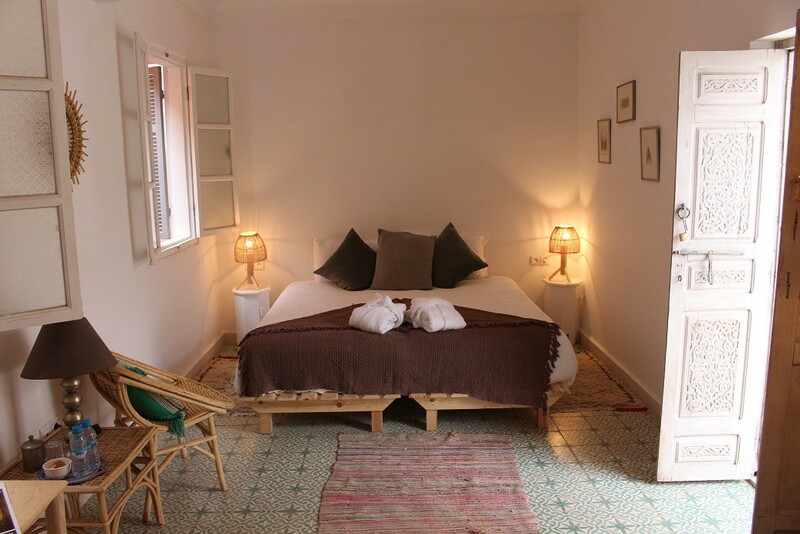 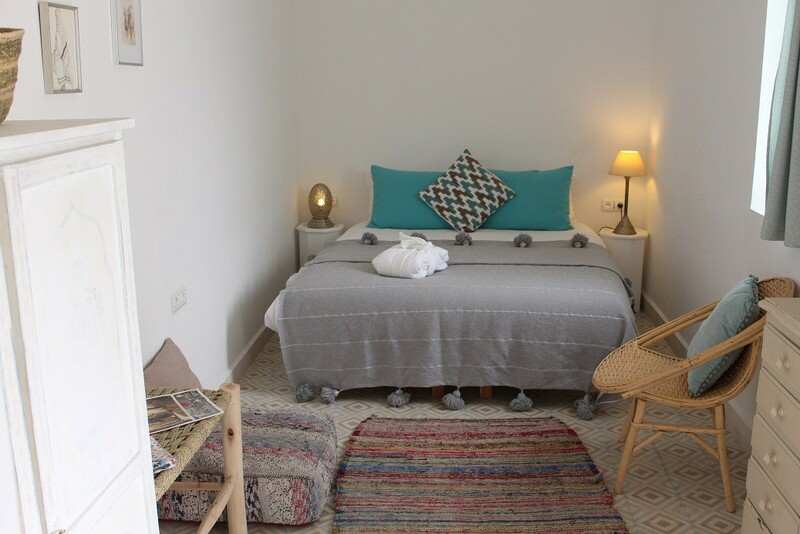 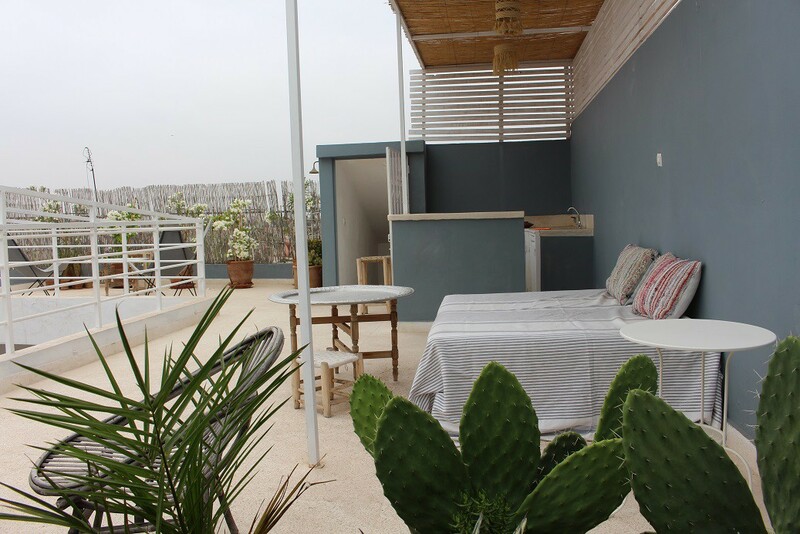 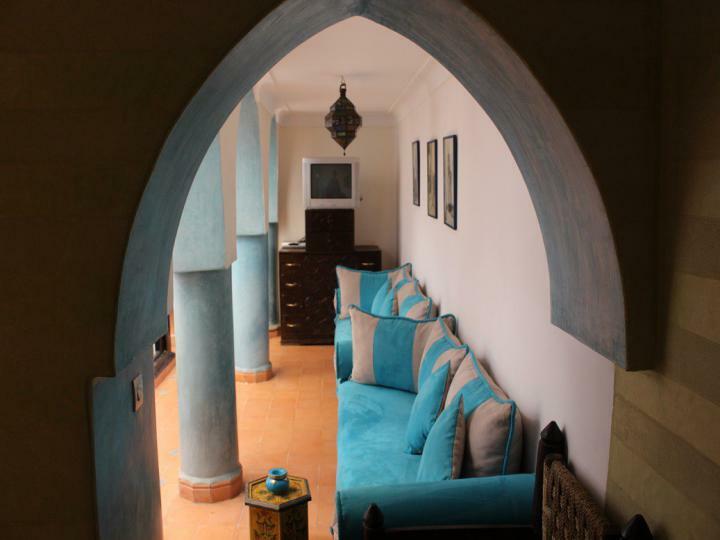 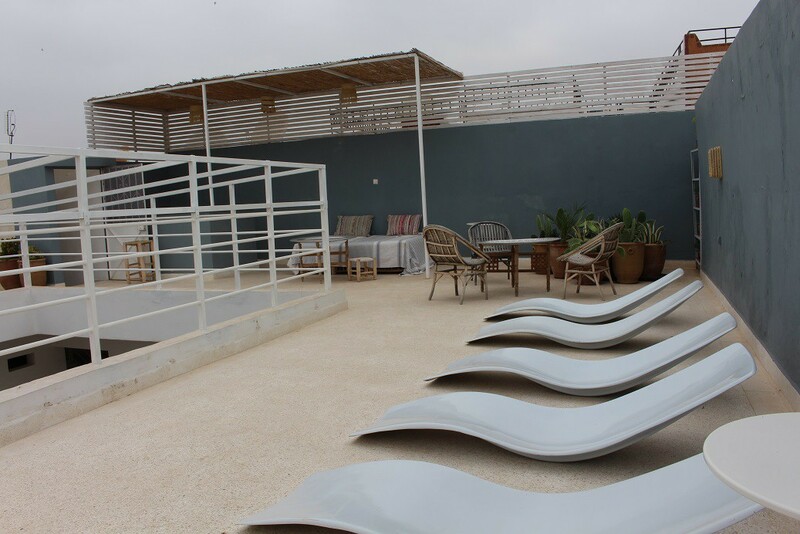 The riad is a successful up-and-running business with an average room rate of €100 per night. 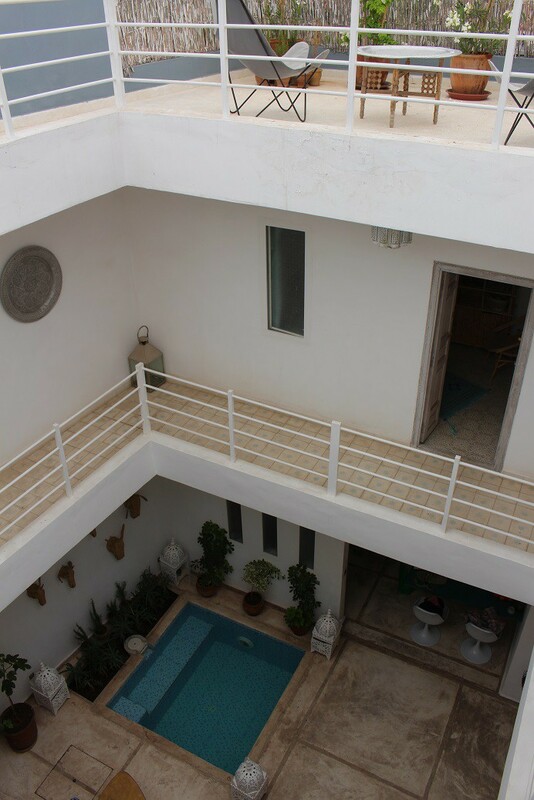 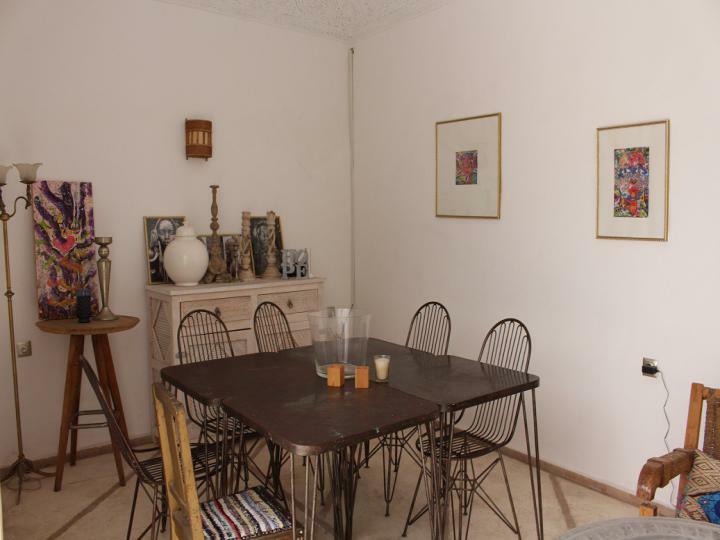 For someone looking for an investment property, the new owners here would hit the ground running and if you're savvy on social media, the photo opportunities here would give you plenty of inspiration and more than enough content for online promotion. 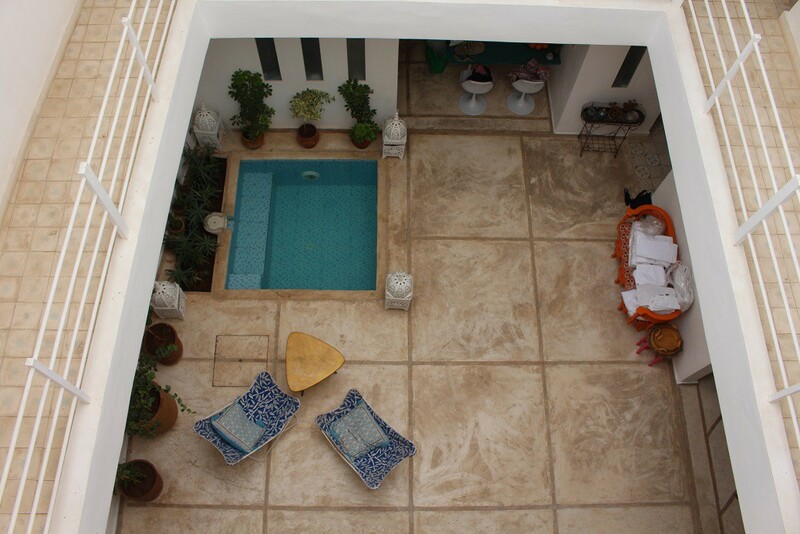 The riad has 2 open plan sitting rooms, a fully fitted American kitchen, beautiful courtyard dining area, and second courtyard/pool area. On the upper floors, the 4-sided coursives give a great feeling of space and light. 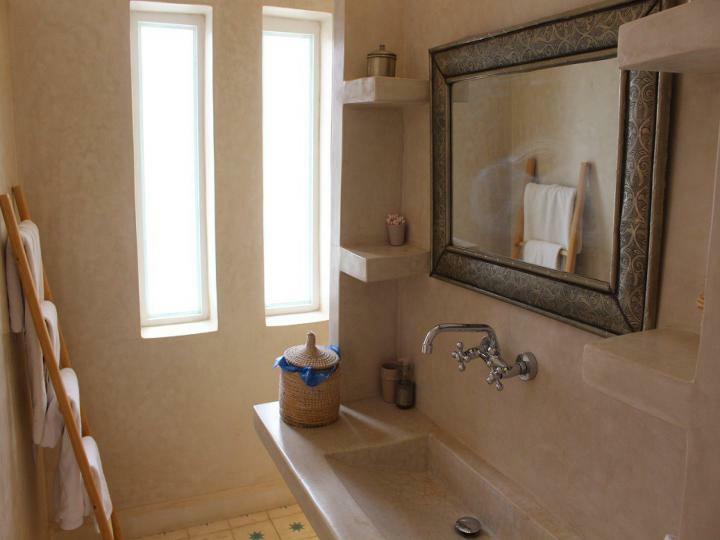 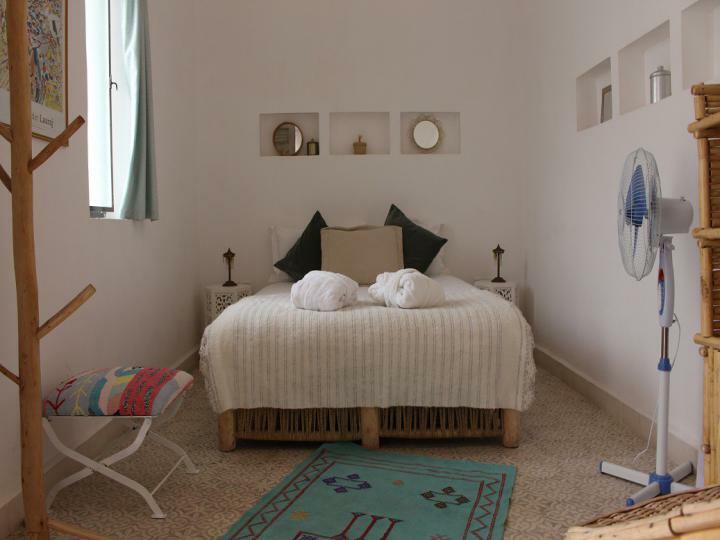 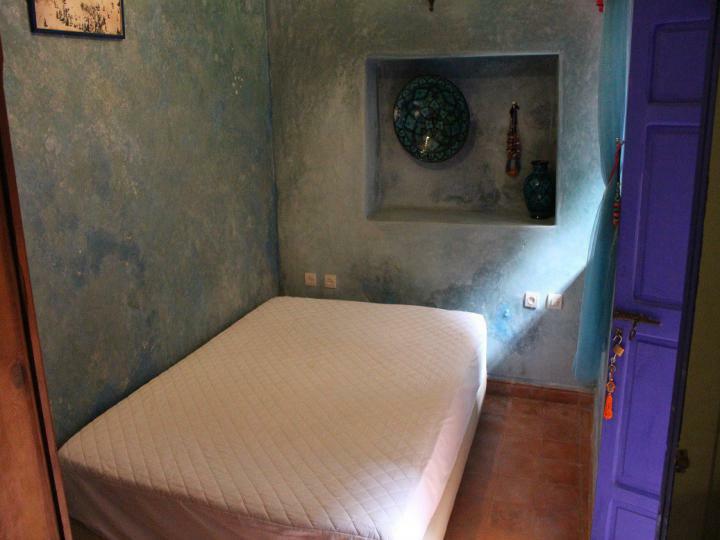 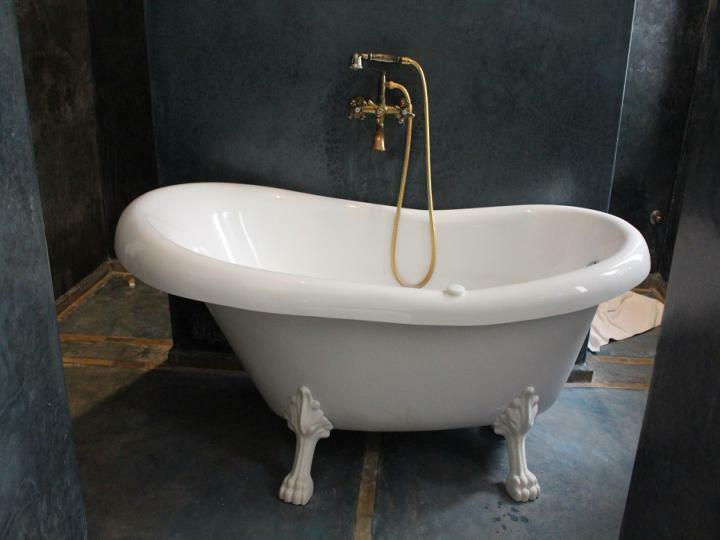 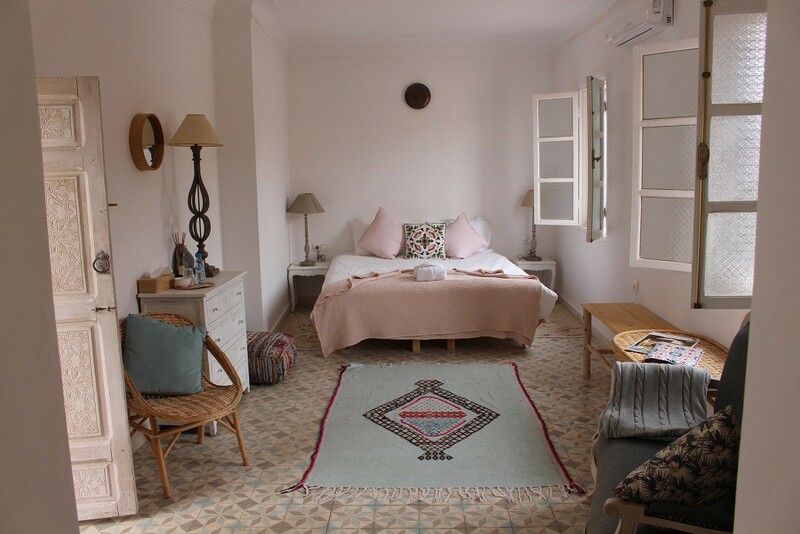 Many of the bedrooms have external windows (a rarity in Marrakech), and beautiful ensuite bathrooms. 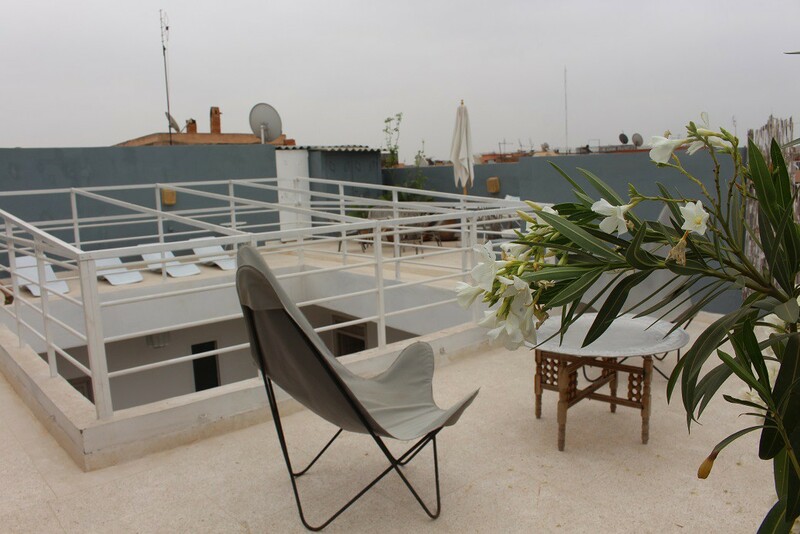 The roof terrace is a modern design with bar, plenty of space for sun loungers and of course, the views over the city roof tops.